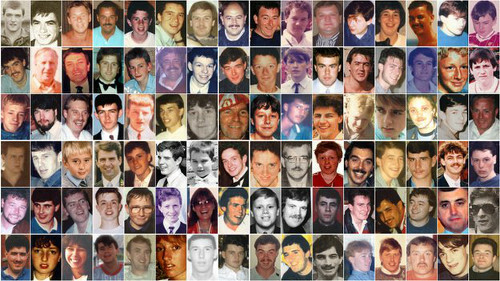 The emotional 'pen portraits' of the 96 people who died in the Hillsborough tragedy were described at their inquests as 'a permanent testament to the dignity of the human spirit'. Each bereaved family gave statements to the jury sitting in Warrington, Cheshire, about the loved ones they lost. Britain's worst sporting disaster unfolded when hundreds of Liverpool fans were crushed at the FA Cup semi-final between Nottingham Forest and Liverpool on April 15, 1989. After the last of Tuesday's six pen portraits were read out, Michael Mansfield QC, who is representing many of the Hillsborough families, said all of the families had wanted to give their appreciation for the opportunity to tell the jury about their relatives. Addressing the coroner, Lord Justice Goldring, Mr Mansfield said: "They wish to express both to you and your counsel, and to everyone in this court, their appreciation - collective appreciation - for the care, for the patience, for the understanding that has been extended to each of them, to each member of each family over these weeks. "This has enabled them to unlock painful memories, as you described them last week, upsetting but also uplifting. It has provided, if I may describe it in this way, a permanent testament to the dignity of the human spirit." The inquest was adjourned until May 20 for pathological evidence to be reviewed. 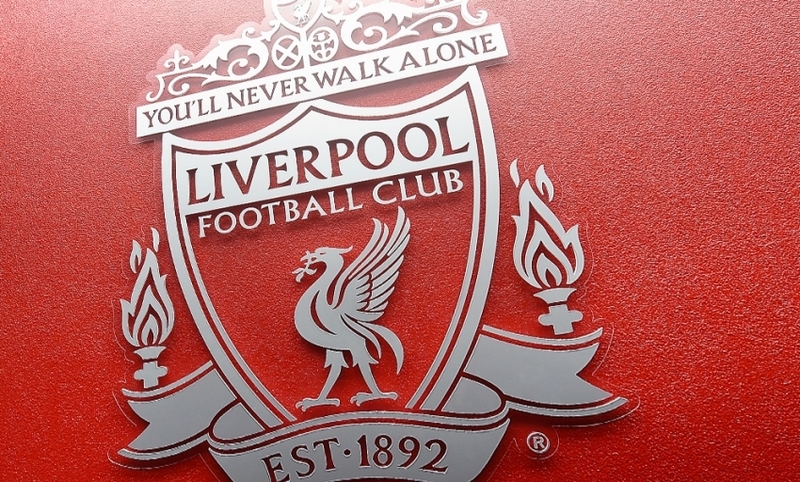 Earlier, the mother of Peter Tootle, 21, from Liverpool, said her son 'absolutely loved' the club and said she thought the first word he spoke as a baby was 'Liverpool'. In a statement read by Mr Tootle's cousin, Tracey Tomlinson, Joan Tootle said: "He went to his first match when he was 18 months old. I think Liverpool was his first word and we never heard the end of it until he went to his next match." She said her first-born child, brother to Barry and sister Amanda, loved all his friends and family. She said: "We are a big family and very close but Peter was the favourite. All his cousins loved spending time with him. He was a good lad and everyone idolised him. "Peter had good manners. He never shouted or raised his voice and he was a perfect gentlemen. "His mates used to go to the pub but because he did not drink the pub got a crate of Lucozade in just for him. That is the kind of person Peter was." He had been looking forward to his first proper holiday abroad in Spain with his girlfriend before he died. Mrs Tootle said: "He bought a load of new clothes for the holidays but it was never meant to be. "I sometimes remember little things Peter said and I find myself laughing. There was always a lot of laughter when you were with him. "Peter was a lovely lad. He was our lad." Ian Glover, 20, from Liverpool, had got a ticket for the 1989 semi-final at the last minute and was in the Leppings Lane with his brother Joe, the inquest heard. His sister Lorraine told the court that Joe was able to escape the crush and attempted to resuscitate his brother. He was traumatised by the incident and would later often go missing and then be found asleep on Ian's grave, she said. Almost 10 years after Hillsborough, Joe himself died when he was crushed by a vehicle at work. She said her family had never been the same since Ian died and that his clothes were still hanging in his bedroom. She said: "He was very thoughtful. He was the most caring out of us all, especially about our mum (Theresa). If she had a cough or a cold, Ian would stay in with her. He really doted on her. "I found a birthday card he sent to my mum in which he had written that the sweetest girl he had ever kissed was another man's wife, his mother." His father John dedicated himself to getting justice for his son and was involved in setting up the Hillsborough Justice Campaign, the court heard. John Glover was diagnosed with terminal cancer in October 2011 but 'against all the odds' was still alive when the Hillsborough Independent Panel published its report the following September. Ian's sister said: "Although he did not die until after the original inquest verdicts were quashed, by that stage he was too ill to learn of the decision. "After the disaster, Ian became one of the victims - number 37 - which we found heartbreaking because to us he was our lad and our life and he was very popular with everyone. "Our family have learned to be very strong but it will always be incomplete." Next the jury heard from Anne Burkett, stepmother of Peter Burkett, 24, whose nickname was 'Peter Perfect'. She said: "When people die they say that their loved ones only remember the good things about them but with Peter there are only good things to remember. He was that good. In fact his nickname was Peter Perfect. "He was always so polite and had a lovely nature. I can only imagine that, as he got pushed into people on the terrace, he would be apologising to them. He was just that gentle." As a youngster he enjoyed being a member of the Boys' Brigade and was always involved in school productions as he 'loved the limelight'. Liverpool Football Club became a big part of his life and he would go to watch them whenever he could, she said. Mrs Burkett went on: "I remember one occasion when I washed his Liverpool hat because it was filthy and I never heard the end of it. He said that he had been everywhere watching Liverpool in that hat and said that I had washed all the matches off." He and his late father, Terry, were 'the best of friends' and 'soulmates'. Peter Burkett died at Hillsborough along with his friend and colleague at Royal Life Insurance, Jonathon Owens. Another colleague, and Mr Burkett's then girlfriend, Debbie Quinn, said they had lost two "dear and much loved friends... within our close-knit group". She said Mr Burkett had turned down a place at Reading University when he was younger and "deep down he regretted it". She added: "Had he not died that day at Hillsborough, I am convinced he would have pursued his dream of achieving a degree." The jury heard that Mr Burkett's favourite player, John Barnes, went to his funeral which he "would have been thrilled he attended". Steven Robinson, 17, had been wanting to join Merseyside Police at the time of his death. The son of Bernie and Rose was an apprentice auto-electrician at North West Buses in Bootle. Speaking on their behalf, Steven's brother, Peter, said: "His mum and dad remember Steven as a typical boy, often in mischief but a loveable rogue. "He was handsome and very funny and had a real wicked sense of humour. "We miss him terribly and he is always in our thoughts." His sister, Tracey, recalled his love of designer labels. She said: "Just ask Mum about the fake Lacoste shirt which she bought from Paddy's Market. It actually had two crocodiles on it and he would not wear it until my mum had cut the crocodile off to make it one." His brother, Paul, said: "He dressed immaculately. Never had a hair out of place and was certainly no stranger to the mirror. He modelled his cool look on a mix of The Fonz from Happy Days and Danny from the film Grease. Mary Corrigan, mother of 17-year-old Keith McGrath, spoke of how a part of her died along with her son. She said: "If I could have stretched my arms to where you were on that disastrous day and cuddled you like I did when you were first born and brought you home..."
She remembered giving birth to her "beautiful son" who was "brutally taken away" when he was six foot tall, had blue eyes and strawberry blond hair. "Throughout his life Keith heard me say time and time again, 'I love you to the moon and back'. "I really don't have the words to express how much I loved and treasured my son." After he left school in 1986 he became employed as an apprentice painter and decorator and at the age of 16 he told her that his future plans were to set up his own business with a friend. "He had it all worked out what he wanted to do," she said. She said that before his 17th birthday she had been talking with her husband about what to get Keith for his 17th birthday. They mentioned driving lessons but their son overheard them and said he wanted a season ticket for Liverpool FC instead, which they bought for him. She said: "All these years I have been saying if we had not got him that ticket he would be safe home today. I know of course that is not true but it is there at the back of your mind. "My beautiful son grew up to be a smart, clever, kind, caring young man who had such a wonderful future ahead of him. "I was so proud of him and always will be. He was the shining star of my life." The court finally heard from the sisters of Brian Matthews, 38, - Deborah, Diane and Brenda - whose wife Margaret had previously given a statement to the inquests. They spoke of how their brother had not gained a place at either Oxford or Cambridge universities "solely due to his financial circumstances and being from a working class family, and certainly not aptitude". Trained as a quantity surveyor, he later went on to become a building society manager in Liverpool and then in Clitheroe, Lancashire, where he became "somewhat of a celebrity in the town due to his charismatic personality". He moved back to Merseyside in 1983 where his wife worked and she bought him a Liverpool season ticket as a thank you. He was a keen sponsor of the St Helens Show where he was "the Simon Cowell of his day" in being one of the main competition judges, and after his death the Brian Matthews Memorial Trophy was established. Mr Matthews was also involved in local charities and was local chair of Help The Aged. Shortly before his death he became a financial consultant at Legal and General. They said: "He had the ability to converse with anyone from any walk of life, be it the lawyers from the local chambers to the street vendor selling the Liverpool Echo outside his office. "Content in their careers, it was time for Brian and Margy to start a family and they both had so much to offer a child. "Sadly, Brian was cruelly robbed of his life before this happened. "He was a man of integrity who should have been safe when he went to that match on that fateful day. He was not safe. "The reputation of the fans was besmirched and we as a family have defended Brian's good character for the last 25 years. "For somebody who contributed so much to society, the thought that our brother suffered such an ignominious death is repugnant. And to add insult to injury, that the fans were described in a broadsheet as bestial is odious." Their parents never got over his death and were "truly broken", the court heard. The sisters said: "It breaks our heart that they went to their graves with their thoughtful, well-mannered son being called a beast." The hearing was adjourned until May 20.